As much fun as I have been having with the ’37, I am starting to get the itch again! Last week, I stuck some “For Sale” signs in the back side windows, just to see what kind of bites I might get. Don’t get me wrong, I still dig the car quite a bit, and I sure don’t regret buying it, but, I am REALLY missing having a truck or something that I can throw a bicycle in the back of, and go riding! I decided that once I find the next caretaker of the ’37, I will go back to the plans of bringing my ’54 F-100 to Springfield, and begin getting it ready for it’s new roll as the daily driver. It’s funny…since I am driving the ’37 as my “daily driver”, and as cool as that is, I don’t even care about hitting any events, cruise nights, etc. I do feel guilty for not driving my ’40 near as much, but that will change soon! If someone doesn’t buy the ’37 this week, it will be at the Frog Follies next! I kinda know what you’re saying. 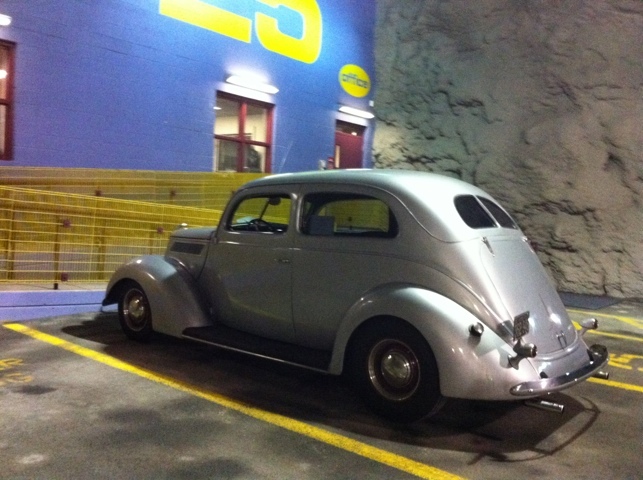 My ’36 is my daily driver, & I really do enjoy putting miles on it, even if it is just commuting throughout the week. The result has been that I rarely make a rod-run or “event”. Driving is way more fun that sitting &b watching. Looking forward to pics of the ’54. Peter.